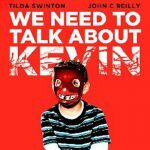 A special sneak preview of "We Need to Talk about Kevin." 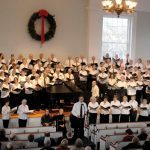 This weekend, the Island Community Chorus – 130 voices strong – will wish Martha's Vineyard a joyous holiday season in song. 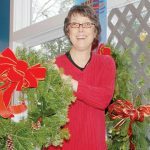 The annual Holly Day Luncheon and Fair at Grace Episcopal Church in Vineyard Haven this Saturday, Dec. When I look out at the yard, it is difficult to guess which month this is. 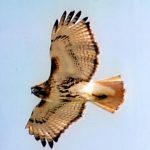 Best wishes for a rapid recovery go to Barbara Peckham. Santa baby, it's still 60 degrees outside, but Christmas time is here. I have officially begun decking the halls, and the Thanksgiving turkey has barely cooled. Did everyone make it through the first of the three brutal holidays, Thanksgiving? Waistline still intact? All family members accounted for? Most people I talked to stayed here for the holiday, some inviting off-Island family and friends and others gathering Island friends together. 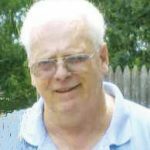 John Michael (Jack) Scanlon Jr.
Mary Louise Osmers died on Tuesday, November 29, 2011 at Windemere where she had resided. Kimberly Morris-Wadleigh has been appointed the new director of the Island Children's School on Halcyon Way in West Tisbury. 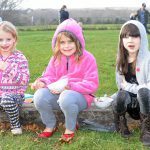 What do flying kites and eating sundaes have in common? Maybe nothing, but those who turned out at Featherstone just before Thanksgiving didn't seem worried about the connection. If you can't beat winter, why not join it by picking up a winter sport "”Â like skating. A recent clinic introduced skating to willing beginners. A scene on high that's never boring. 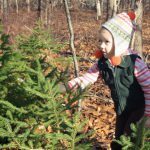 A conservation organization on Martha's Vineyard offers free Christmas tress to those who would come and cut them. In shirtsleeves and even in bare feet, school kids beautify cars to fortify the kitty for a trip to Italy. Some dogs thrive in dog parks, whether on Martha's Vineyard or anywhere else. For others it's trickier.